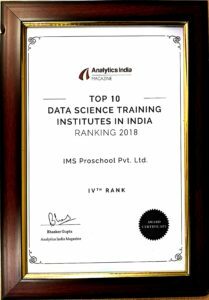 Learn Business analytics from IMS Proschool, the 4th Best Institute in India, Ranked by Analytics India Magazine (2018). 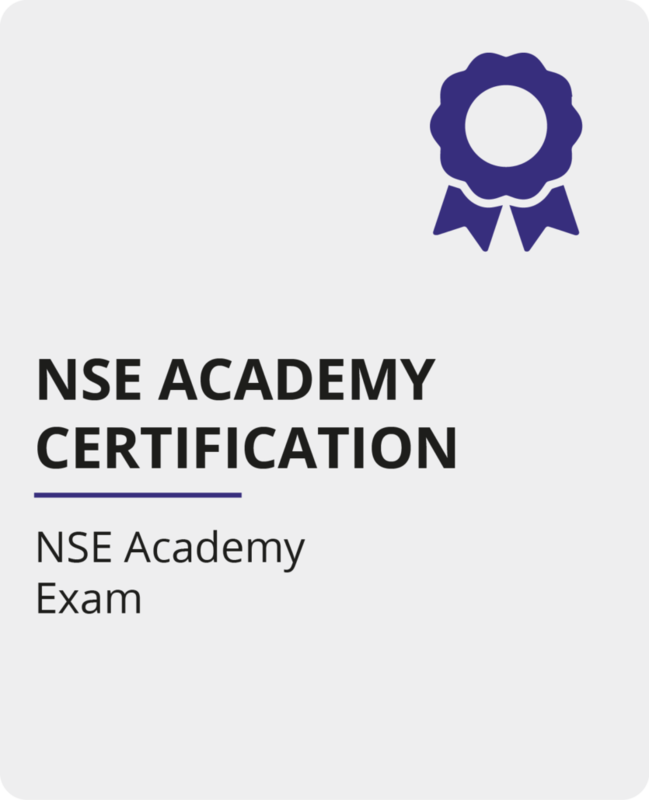 The program is jointly certified by IMS Proschool & NSE Academy. Proschool offers classroom training program in Mumbai, Vash, Thane, Delhi, Gurgaon, Pune, Chennai, Hyderabad, Bangalore & Kochi. Students outside these cities can undertake the program online. Additional online training and certification on SQL and Tableau. Audio – Video enabled 12 weeks Live & Interactive training program on Business Analytics. Get recorded sessions for future reference. Business Analytics (BA) and its related terms such as Business Intelligence, Big Data, Data Mining,Data Science, etc. have become a powerful tool for growth in the 21st Century. Accenture report of January 2019 says India can add $1.97 trillion in GDP growth if it can bridge skill gap in advance technologies such as Business Analytics and Artificial Intelligence. 1. Techniques: Predictive Analytics, Data Exploration, Clustering, Classification, Market Basket Analysis. 2. Tools: Excel, SAS, R and Python. 3. Applications: in Retail, Finance, Telecom etc. How is the Proschool program of Business Analytics (BA) different from those of other training providers? 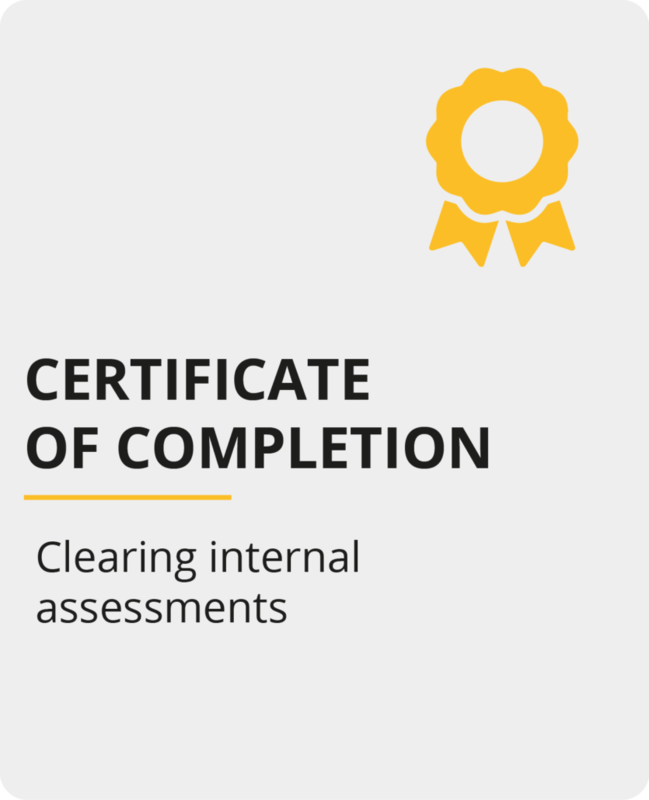 Our course has been devised with a lot of thought with respect to the number of hours required to comprehensively understand a particular tool or technique. At the same time, we have done extensive research on the most common tools and techniques that are applied in the industry to enable “Industry-Readiness” on course completion. The experiential approach of the course blends academic content with hands-on application to ensure that students are comfortable with both. Is there any pre-requisite for the course? No, the course has been designed so that all participants can build their knowledge from basic concepts to advanced applications. For example, Linear Regression starts with the concept of mean and variation followed by correlation. Regression is then explained via Correlation followed by Interpretation of Regression results. Any knowledge of Math and Statistics will be helpful to the participants. Also comfort with data and its various formats will be an added bonus. How is Business Analytics different from IT or programming? IT or programming deals with processes. Business Analytics deals with data. As a part of a programming team you will try and automate processes. A lot of these automated processes now generate huge amounts of data. This data is now the focus of Business Analytics. BA gains insights from these data to get an edge. A lot of IT processes such as Project Management are getting automated so demand in the sector is going to stagnate in the long run. At the same time, data is increasing exponentially, consider this: From the beginning of recorded time until 2003, the world had created 5 Exabytes of data. In 2011, the same amount was created in 2 days. In 2013, the world produced the same amount of data was created in just 10 minutes. IDC estimates that Data creation will reach 163 zettabytes by 2025. Hence the demand for BA professionals will continue to increase. Will Business Analytics help me in consulting as well? Most of the consulting profiles involve analysis of data to drive future business plans and strategy. Business Analytics will clearly give you an edge in your analytical and data handling capabilities. I am pursuing an MBA, how will Business Analytics help me? If you are pursuing an MBA and want to make a career in Analytics, Consulting, Finance or Marketing then BA will be helpful to you. This course will make you comfortable with data and data analysis along with popular analytical tools such as MS-Excel, R and Python. It will give you the desired exposure to various domains thus creating a well-balanced outlook on data usage. Lastly, it will also help you to improve your profile vis-à-vis other candidates of your institute. I have completed my graduation in Engineering, how will Business Analytics help me? Typically, engineers are already conversant with basic IT tools and data structures. As an engineer, you can exploit this advantage and bolster it with techniques and domain knowledge from our course. If you are interested in a career in Analytics or Market Research or Finance, then data analysis can be handy. I have work experience in the IT sector. How will Business Analytics help me? A lot of IT professionals find Business Analytics more exciting. Along with this, the demand for Business Analytics professionals is growing whereas the demand for IT professionals is stagnating. Business Analytics hence may be a good career shift for you. Also, familiarity with IT leads to a better understanding of data leading to improved data analysis. For careers in Analytics, Machine Learning, Data Analyst, Business Intelligence etc.